If the old saying, “You never have to go to work if you love your job,” is true, USM Associate Professor of Biology Mac Alford hasn’t worked in a while. In addition to the job for which he is paid, he took a group of retired members of an OLLI class on a field trip to look for wildflowers this week. Every few steps through the woodland trail, he would exclaim, “Oh, and look at this!” Becoming the girl who walked the trails at Papaw’s farm, I joined his enthusiasm. We saw things I recognized like honeysuckle, wild phlox, and violets. Milkweed blossomed, waiting for visits from the Monarch butterflies. 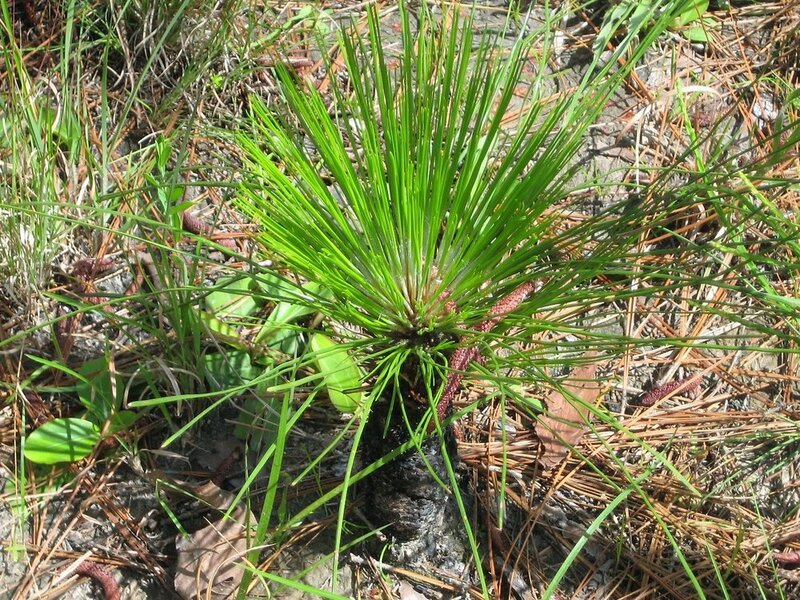 A young native longleaf pine stuck its bristles up, looking for all the world like a green feather duster, the beginnings of a trunk forming its handle. Then there was the carnivorous sundew. It’s pretty flower with a nice aroma attracts insects who come too close to the sticky leaves and give up their lives for the cause. In the wonder of second childhoods, the group of seniors followed the professor from discovery to discovery. This trip seemed just right to prepare for Earth Day tomorrow. I’m going to follow up in my yard by finding small wonders to celebrate. I invite you to join me in a virtual search and tell me what you discover.